Uncle!! The springs rains just wouldn’t leave us alone. There are 18 spill gates open at Conowingo Dam as I write this. Oh well, we’ll get ’em next year. I hear the big red drum have moved into Tangier Sound. If anyone would like to try an evening trip for the fish of a lifetime please let me know. These fish average 30# – 40#. Here is one more pic from the flats this spring. Photo and fish courtesy of Scott Evander. Pennsylvania rain, cool water temperatures and a lack of fish have made it slow going on the flats. 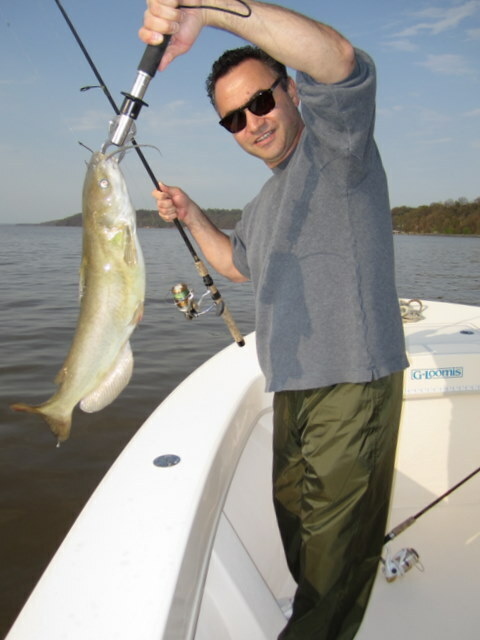 Most fish caught have been on cut herring and the occasional trolled/cast plug up in the river. 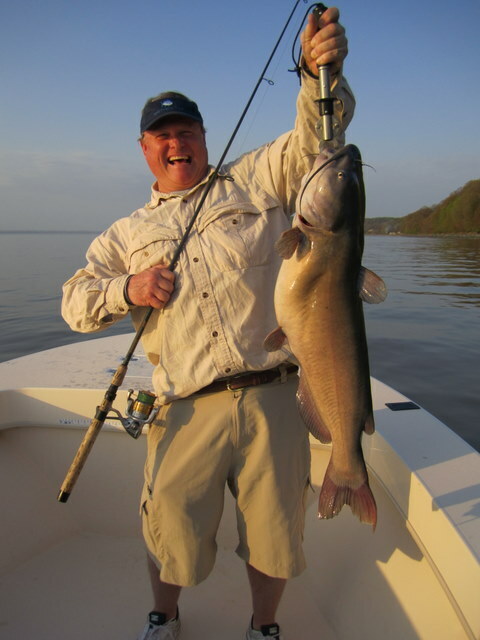 Right now, all fish are big – twenty pounds plus – there just aren’t that many of them. 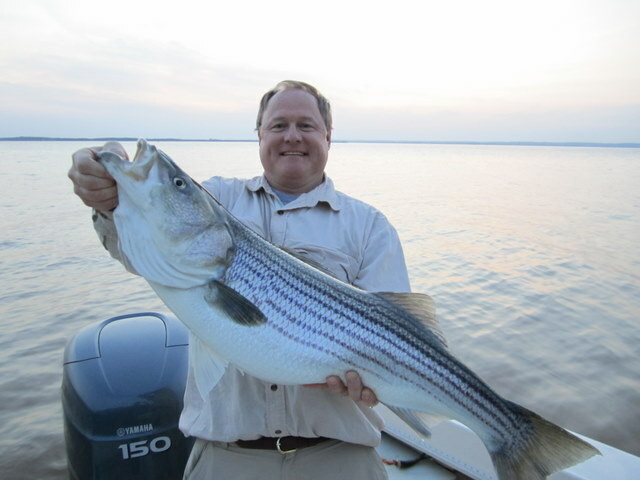 Last year was like this and then, literally overnight, the flats was overrun with stripers. Looking for the action to pick up soon, provided this storm cycle we’re in lets up. The new G.Loomis NRX is on my boat and ready for fun! Come out and try it!! 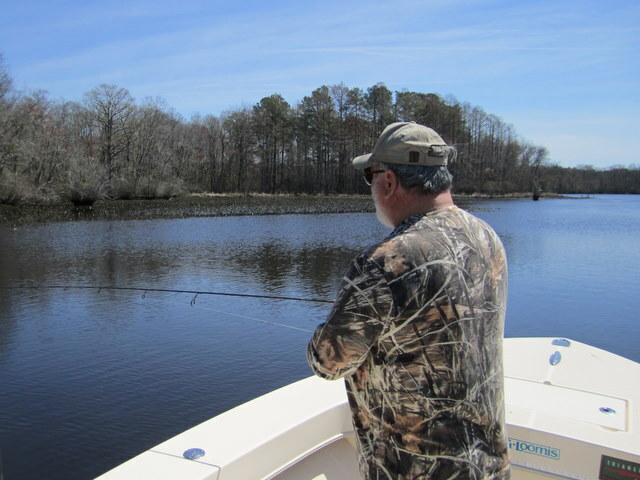 Yesterday, we fished the Pocomoke River for the last time before heading to the Susquehanna Flats. This was a crappie trip, but we would take anything that put a bend in the rod. I met Jesse Maffuid and Bernie Kemp at Byrd Park in Snow Hill for a six-hour step back in time on the beautiful, dark clear waters of the Pocomoke. I hadn’t raised the throttle over idle speed before we wet our first line. Almost immediately, a couple of crappie spit the hook, but it was not what we were looking for. I traveled down river to Nassawango Creek to a favorite hole, and after a minute or two Jesse hooked up with a nice crappie on a chartreuse and black, jig and float combo. Another crappie or two came over the side, Bernie caught a nice fourteen-inch bass and so it went. 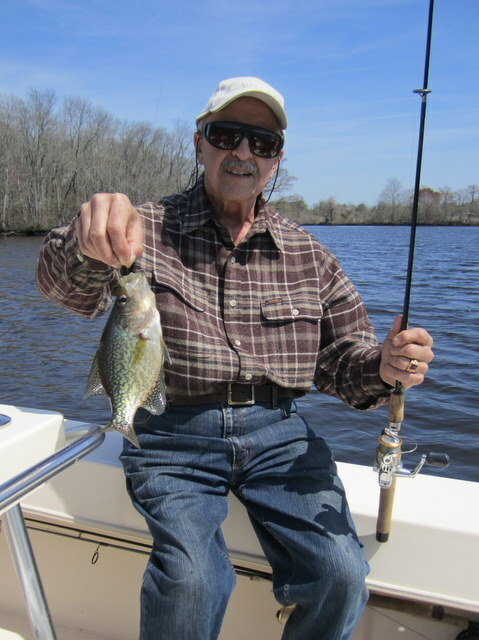 Over the next few hours Bernie added a couple or three more small bass and Jesse was high man on the crappie, along with a few colorful yellow perch. Bernie even had a surprise bluegill nail his small grub. That’s the nice thing about fishing this river is the variety. Even fishing small crappie jigs, every strike can bring a surprise. We finished the day with a flurry, along with the biggest crappie of the day within sight of the ramp. I think the largest stretched the tape to about twelve inches. Not jumbo crappie my southern standards but fun non-the-less. Onto the flats where, hopefully, the water has cleared and the stripers are hungry! I had the boat in the shop this past week to replace a clogged fuel filter in the engine. I think this HPDI has about four of the things in the gas line. It’s a wonder any gas gets through at all. Ethanol seems to be the culprit in this case as it’s cleaning out my inboard fuel tank and sending all that crud through to the engine. Thinking about switching to ethanol free fuel. 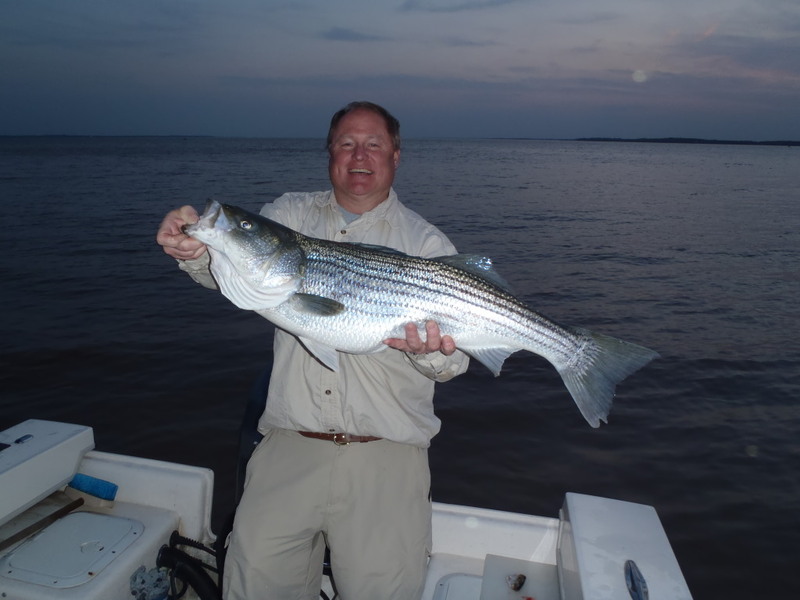 I’ve got a trip or two on the Pocomoke this week for crappie, bass, etc. and then I’ll be heading up to the Susky flats. I’m just about booked solid starting next Monday, but I still have two days open before the season ends on May 3. If anyone wants one of these last two dates, now is the time to call. 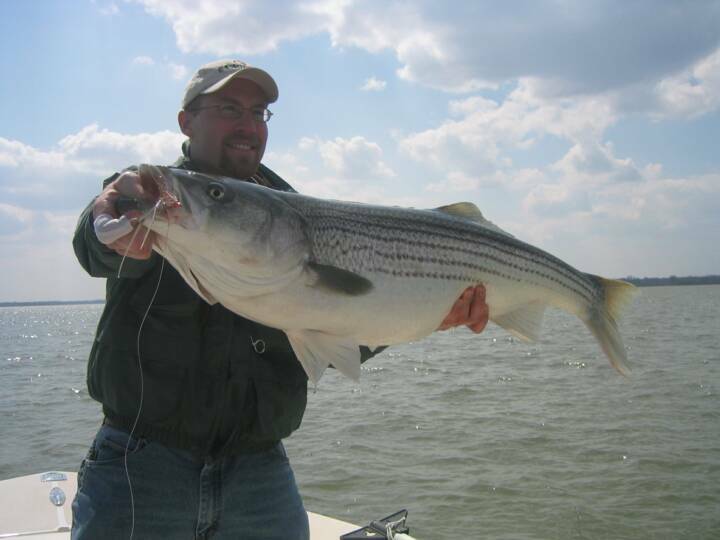 I have a few guys on standby should the fishing get hot, but the early bird gets the rockfish. Still a few spots left for a half day evening topwater trip as well.